Energy Saving Lamps, GLS LED Lamps, LED floodlights, Retrofit & T5 luminaires, Rechargeable Led Lanterns, Rechargeable Led Torches, Air Conditioners, Hand Dryers, Motion Sensors. 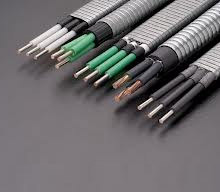 Coaxial cable, Copper wire, Telephone cable, CAT6 cable, Armoured cable, Shielded cable, Copper cable, Electrical wires, Flexible cable, Power cables. Electrical plug & sockets, Wire connectors, Industrial socket, Waterproof connectors, Electrical connector, Power sockets, Pin plugs, Socket outlet, Circular connector Outlet plug. Miniature circuit breaker, Moulded Case Circuit Breaker, Earth Leakage Circuit Breaker, Residual Current Circuit Breaker, Circuit breaker panel, Electric circuit breaker, Main circuit breaker, Circuit breaker boxes, Air circuit breaker, Thermal circuit breaker, Contactors & Overload Relays, Isolator switches, Distribution box, Electric junction box. Combination lock, burglar alarm, electronic locks, video security, master lock. Commercial lighting, outdoor lighting, Kitchen lighting, |Modern lighting, Garden lighting, Home lighting, Designer lighting, Industrial lighting, Residential lighting, Bathroom lighting, Recessed lighting, Indoor lighting, Wall lighting, Interior lighting Light fixtures, light fittings. Ring pliers, Vise grip, Pipe cutter, Torque wrench, Plier sets, Multi plier, Nose pliers, Cable cutter, Wire stripper, Wire crimpers, Electrical tools, Hacksaw, Tape measure, Hydraulic cutters, Hydraulic tools. Digital multimeters, Digital clamp meter, Voltmeters, Voltage tester, Digital voltmeter, High voltage tester, Voltage detector. Cable tray, Wire cable tray, Cable tray system, Electrical cable tray, Cable management, Wire mesh cable tray, Unistrut, Cable cover, Wire covers, Cable management racks, Plastic fasteners, Metal fasteners. Power Plus is a leading stockist and reseller of a vast and comprehensive range of electrical, mechanical, hardware and lighting products, including local and international suppliers and their brands. We ensure a well-balanced and extremely comprehensive product range. Our distribution network consists of many strategically located outlets nationwide. Power Plus is one of the leading electro-mechanical and hardware distributor in United Arab Emirates and caters for infrastructural, commercial, industrial, residential, onshore and offshore related developments and energy efficiency replacement/retrofit markets.